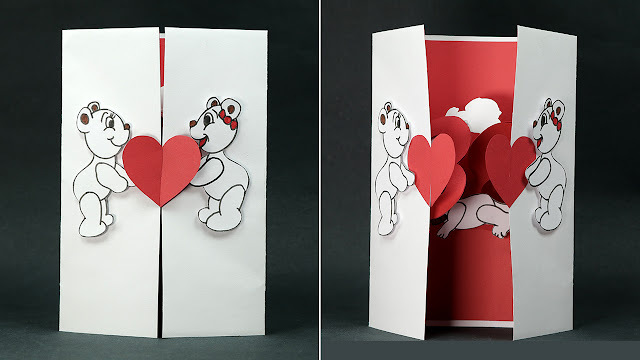 Make a pop up DIY Valentine card that is different from other handmade love cards. This Artsy Fartsy tutorial will teach you how to make a pop up kissing couples card. This is one of the cutest way to express your heartfelt feelings to your lovely partner on 14th February. Even if you have not made any greeting cards before, you can simply follow the step by step instructions shown in this card making tutorial. Soon you will be able to make this pop up card easily. Later you can also try your hand at other DIY pop up cards. So, what are you waiting for? Get ready to make homemade greeting cards this season and surprise your loved one with love cards.